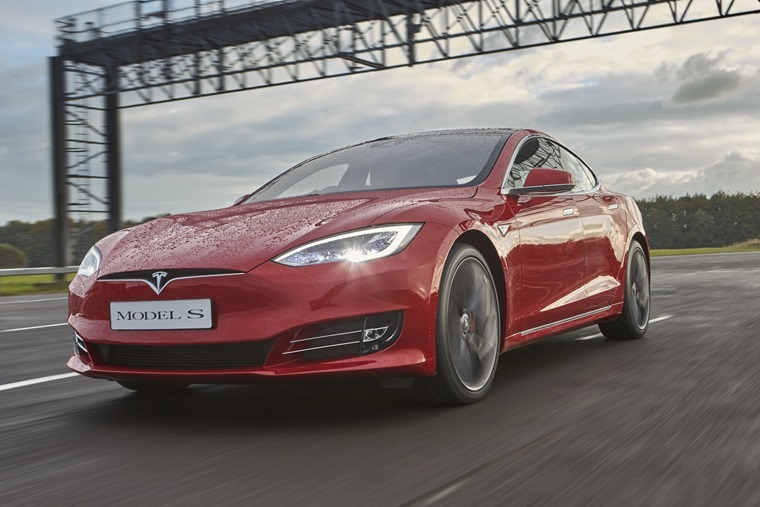 Faster than a Ferrari, cheaper than a Lamborghini, the Tesla Model S P100D has every right to its supercar credentials. 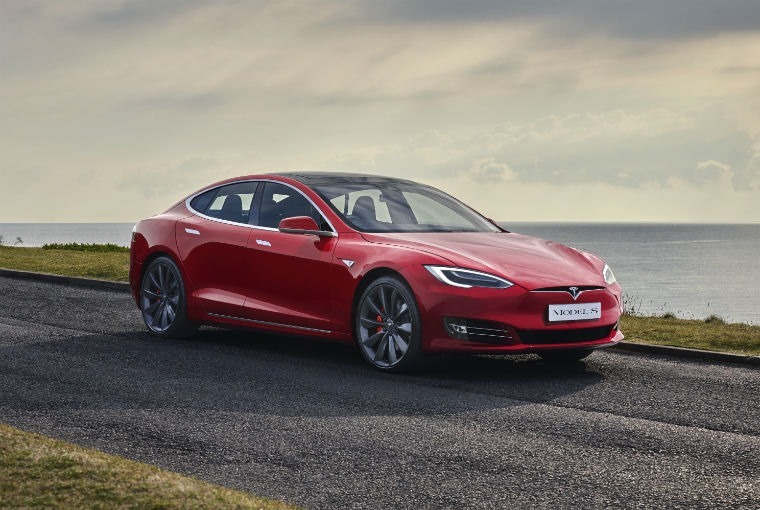 The Tesla Model S is a more common sight on the UK’s roads now, but it still attracts a surprising amount of attention. Whether that’s due to its design or because it slips by silently running on nothing more than electrons shuffling around a little, it’s difficult to say. There’s no engine under that bonnet, but instead there’s an electric motor. There’s another one under the boot floor, and a bank of posh laptop batteries running underneath the car. The result of eschewing traditional power for electric motion is a range of 230 miles or so before the car needs recharging. Or at least it is on the entry-level ‘75’ model. This, however, is the P100D version, and that slightly awkward arrangement of letters and numbers means it’ll go on well beyond 300 miles. Officially, 381 miles is on the cards, and those making a particularly special effort have almost doubled that, but real-world driving of the kind I’ve been doing saw the expected range settle on around 275 miles. That was probably reduced a little by some ‘performance analysis’ although it would be easy to go further with a little careful driving. 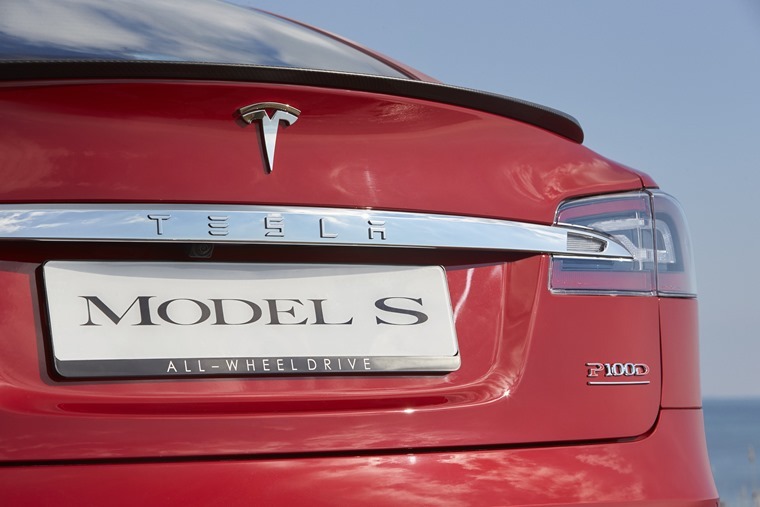 The problem is that Tesla has made careful driving very difficult to achieve thanks to the addition of a button on the menu labelled ‘Ludicrous Mode’. Activate this and the Model S throws away its planet-saving eco-friendly facade and turns into a drag strip munching monster. It’s not just quick, but neck-snappingly, face-bendingly quick. Nothing this side of an F35 Lightning will accelerate quite so quickly. It’s not just quick, but neck-snappingly, face-bendingly quick. Nothing this side of an F35 Lightning will accelerate quite so quickly. For perspective, this five-seater luxury car is quicker to 62mph than the £340,000 Ferrari F12tdf. Or any Lamborghini, Porsche, McLaren. Any ideas you may have had about electric cars being slow need to be rethought, as do the laws of physics. 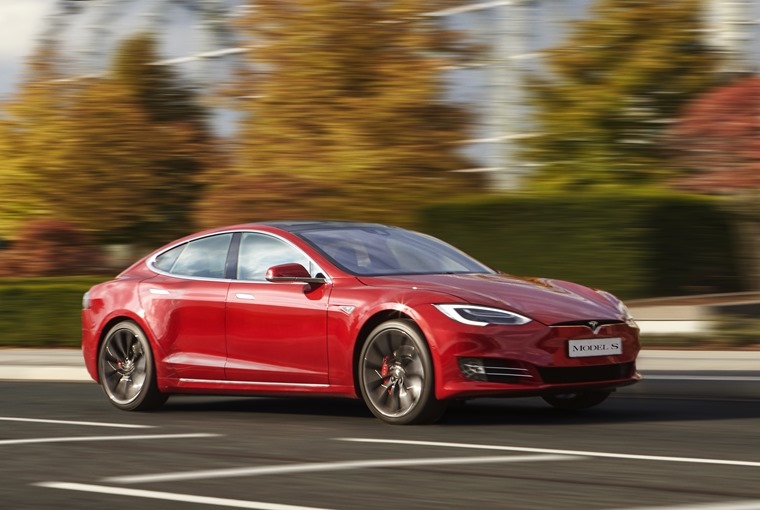 Outside of the Tesla’s party trick, those twin electric motors provide enough torque to make any gap in traffic accessible. Switching from a slow moving queue into faster traffic requires nothing more than the twitch of a toe for the car to lurch forwards like a scalded cat. The power is instantly accessible and intoxicating, all the time and on every road. 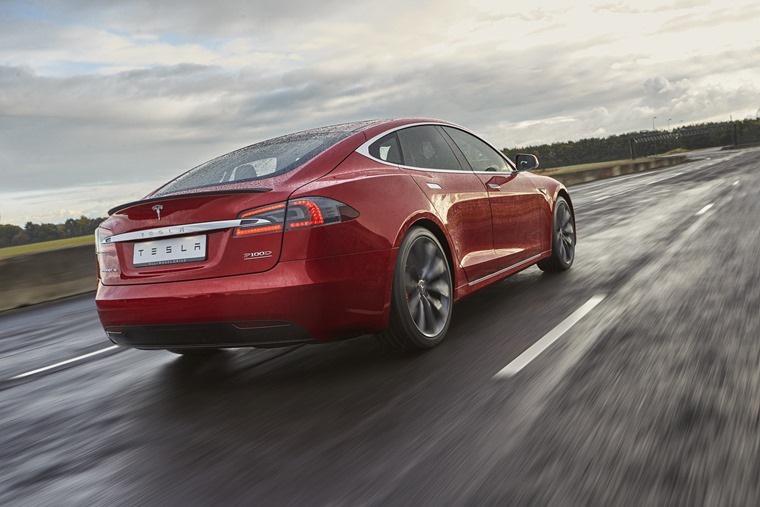 There’s no gear changing required to keep up with the motor either as electric cars simply don’t need them, so driving can actually be entirely relaxing. There’s no waiting for a turbo to spool up or a gearbox to change down a ratio or two, it’s just smooth and easy everywhere. There’s a rather stark white leather interior on this test car that jars a little with the red paintwork, but there’s no doubting the quality of the material. 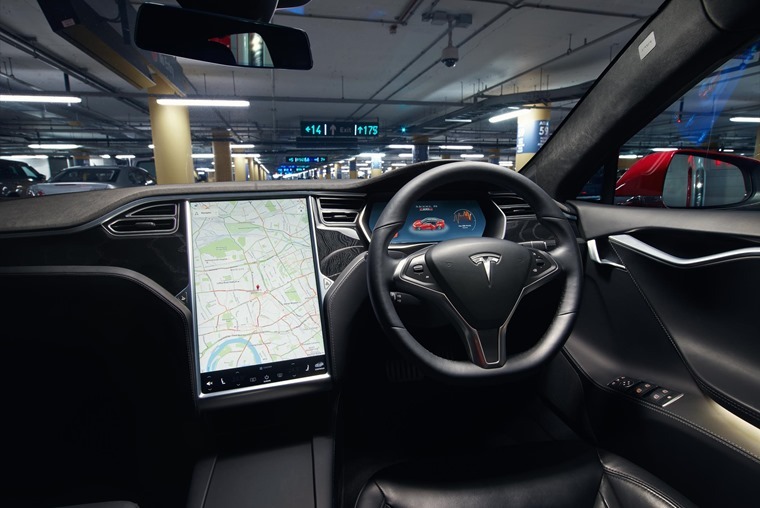 Likewise, the large touchscreen that dominates the dashboard is top notch in terms of build, although it rather looks like a giant iPad has been glued over where the buttons should be. It operates literally everything in the car, which is its greatest selling point and also its greatest failure. Want to open the sunroof? That’s hidden away in a menu. Fancy streaming some music over Spotify? You can do that, but it’s somewhere else in another menu. Fancy browsing the internet while driving? Amazingly, that’s no problem, it’ll let you do that at any speed. The technology is pretty cool ... Overnight my test car had an update that installed emergency autonomous braking. For a car car costing north of £130,00, the overall build quality is disappointing compared to its price peers. The door trims move and creak, wobbling when the door is slammed shut, while the chrome strips on the door don’t line up. The centre storage bins and cupholders wouldn’t look out of place in a 1980s Chrysler either. The technology is pretty cool though. Overnight my test car had an update that installed emergency autonomous braking, a safety feature that wasn’t previously available on a Tesla. Updates happen frequently, tweaking the range of the car or adding some feature that was previously missing, which is something you’ll not find in any of its more traditional competitors. With any electric car it’s the so-called range anxiety that people worry about, although in reality the bigger problem to most is just how long it takes to charge the car. Tesla has a network of Superchargers around the country, mostly at motorway services, which add 170 or so of range in just half an hour and makes a pan-European jaunt a distinct possibility. Most Tesla drivers may have a home charger installed too, keeping the car topped up and ready for 300 miles of action at a moment’s notice. Resort to a normal three-pin plug in an emergency and you’ll be waiting an entire day, but at least it’s possible if you’re stranded somewhere remote. While the P100D, with its ridiculous performance levels, might be appealing at the drag strip, once you’ve shown each friend just how fast it is, will the novelty wear off? A plain old 100D (no ‘P’) is still searingly fast (0-62mph is a Porsche rivalling 5.3 seconds) while the driving range is ever so slightly increased.